More bands have been added to the already-stacked Maryland Deathfest 2018 lineup. 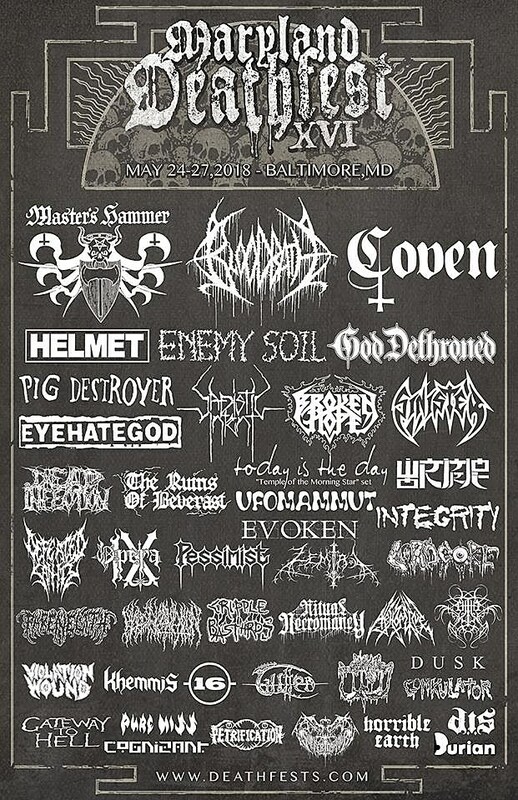 New additions include Today Is the Day, Pig Destroyer, Integrity, Helmet, The Ruins of Beverast, Master’s Hammer, Defeated Sanity, Cripple Bastards, Khemmis, and more. They join previously-announced names like Coven, Eyehategod, and Ufomammut. Full updated lineup below. Four-day passes are available now. Today Is The Day will be playing Temple of the Morning Star in full at the festival, like they’ve been doing on tour this year.